A good friend once told me that during a particularly rough time in her life, the title mantra got her through. (For those of you who don’t get the reference, rent Finding Nemo sometime will ya?) This stuck with me, and I especially needed to remind myself of it on today’s run. This has not been a great week in our household. Another toddler bug has struck, leading to doctor visits and loss of work time, not to mention some sleep loss. Add to that the wonky weather patterns that have been playing havoc on me and here I found myself today, not heading out for run #3 of the week as originally planned, but in a battle of the wills for run #2. Out I went though. I knew it would be a rough one. It was. Did every single step hurt? No. Was it freezing? Nope. But it was still hard. It’s my second run in 6 months. Often, the second time of many things can be harder than the first. You know what to expect. Mind tricks don’t work quite as well. Also, today I went out at 3PM when I was more awake than my usually stunned 6AM self. As I said, the weather’s been weird. I don’t tend to make it a habit of blasting this little known fact about myself, but I have joint issues. 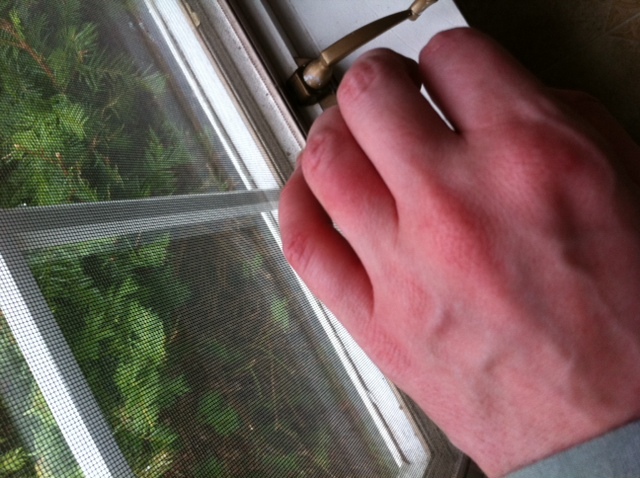 I’ve had a bad knee since I was 12, and have been dealing with mild arthritis in my hands since I was around 19. It can be a pain in the arse, yes, but really it only bothers me at certain times of the year at certain times of the day, and there are so many people who deal with chronic pain issues all the time that I just don’t let it get to me (often). The in-between seasons are the worst though and I do find myself moaning a bit more than usual. Today, my hands were already hurting when I started my run, but I shrugged it off. I managed to get only 2K in (ish…I’m not mapping this out) before my knee sent up those warning lightening bolts that tells me to ease up. So I walked for a bit. Now, I could get angry about this “lack of progress” but there’s no point. Your body knows what it needs and right then my knee needed some time off. I gave in and after a few minutes started running again. This time, I made it the whole 2K back without having to stop. Do any of you have chronic or repeat injuries/conditions? Do they hold you back from your run? How do you deal with them?